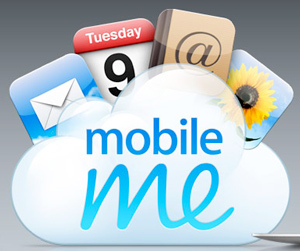 Apple released MobileMe last week, an update of their online service, .Mac. Then, since a couple of years I am a huge supporter of Gmail, the lightweight, yet superfunctional online email application. Later on followed by Google Apps; a great way to use share documents and calendars online. Should I migrate everything to MobileMe or stick with Google, hoping they will introduce push Email/Contact/Calendar sometime in the future? Well, I refuse to change my emailaddress, so I need Apple to be able to host my domain email, which is not possible at the moment I believe…I guess I will wait a while with a full migration then. But you bet I am gonna sync the Google Apps data (email, contacts and calendar) with MobileMe and have Apple push everything to my iPhone, sweet! !